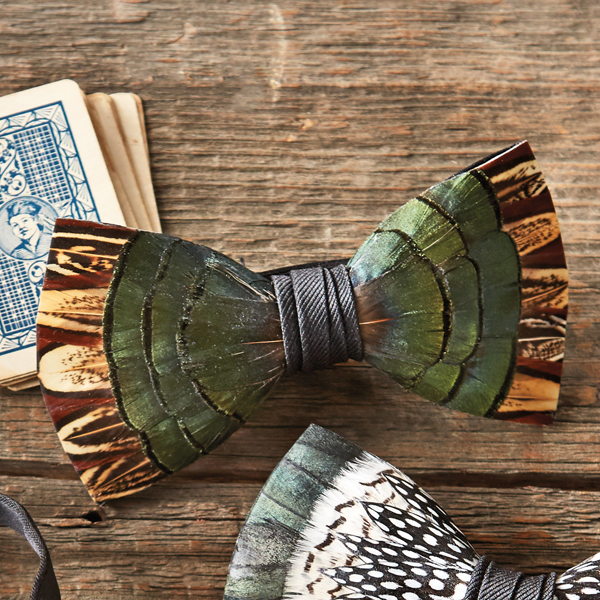 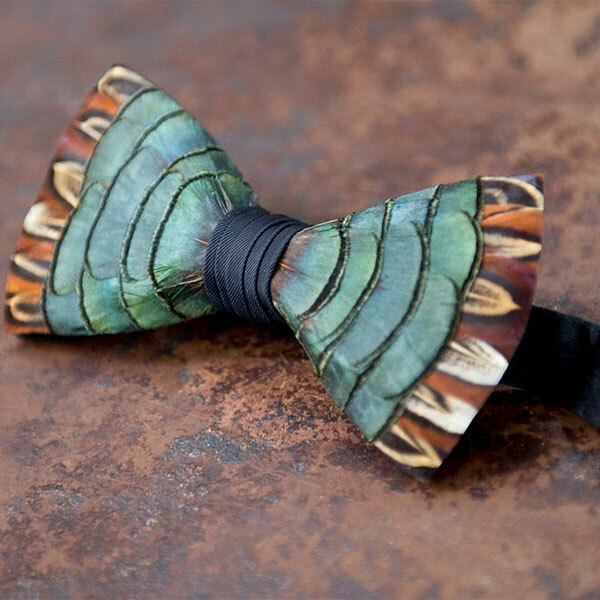 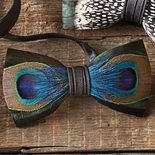 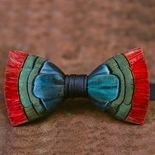 Made using pheasant feathers, this bow tie has varying shades of black, almond, and brick with hints of umber on the outer edges with a natural green on the inside. 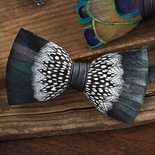 Every bow tie will have slight color variations. 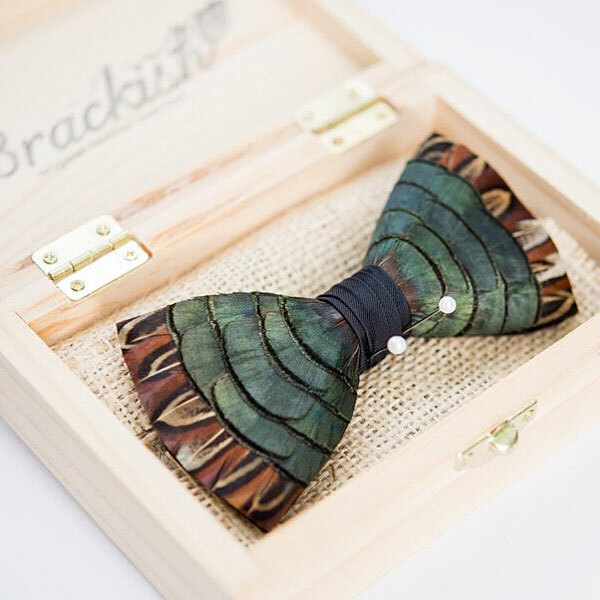 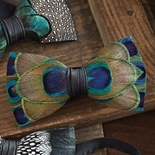 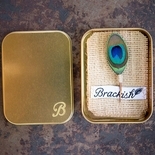 Handsomely boxed, with care instructions, each bow tie is made by hand in the U.S.A. Adjustable hook on style up to 20�.